The Yankton Sioux Tribe member has been a prolific opponent of the Keystone XL and Dakota Access pipelines. 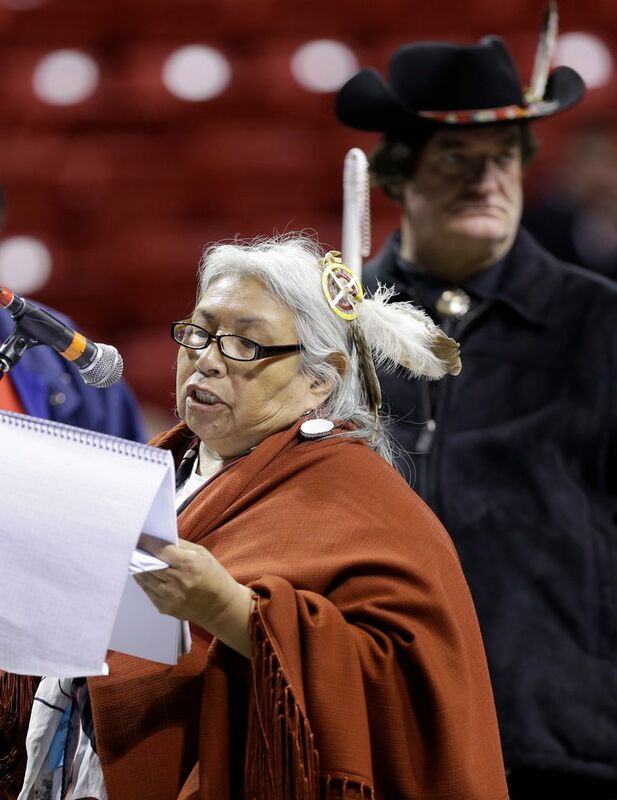 Faith Spotted Eagle was the choice of one Washington state elector on Monday to be the next president of the United States. Eight of our state’s 12 Democratic electors voted for Hillary Clinton, in accordance with the popular vote, but four others did not. Three voted for former Secretary of State Colin Powell, and one for Faith Spotted Eagle, a Native American elder from South Dakota. Faith Spotted Eagle has been a vocal opponent of major oil-pipeline projects in North America, including the Keystone XL pipeline and the Dakota Access Pipeline. Robert Satiacum, a member of Washington’s Puyallup Tribe who had supported Vermont Sen. Bernie Sanders as the Democratic presidential nominee, was the Washington state elector who voted for Faith Spotted Eagle. On Monday, he said his electoral vote was for “a real leader” instead of Clinton. Satiacum said before Election Day that he wouldn’t support Clinton if she won Washington state. It’s the first time in four decades that any of the state’s electors have broken from the popular vote for president. Information from The Seattle Times archive is included in this report.